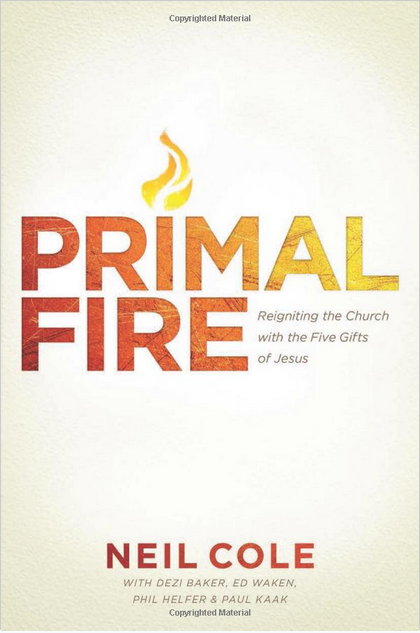 Primal Fire: Reigniting the Church with the Five Gifts of Jesus is Neil Cole’s latest book. Disclosure: Neil is a good friend of Tony’s and mine. We’ve spent many an evening in our hot tub enjoying a glass of wine and discussing theology and church planting and putting the world to rights. I love all his books and read the manuscript of this one some time ago to write an endorsement for it. I’m also blessed to have met/know all the members of the 5-fold team that works with Neil (all of whom wrote the book with him) and they are the best functioning leadership team of apostle, prophet, evangelist, pastor and teacher I’m aware of. They are the real deal. Neil Cole is neither traditional nor tame, and he is uniquely positioned to write about the five gifts Jesus gave tot he church. He doesn’t just talk about the principles in this thought-provoking book: he lives them out as a highly effective apostle within a gifted team that has trained tens of thousands of church planters around the world. 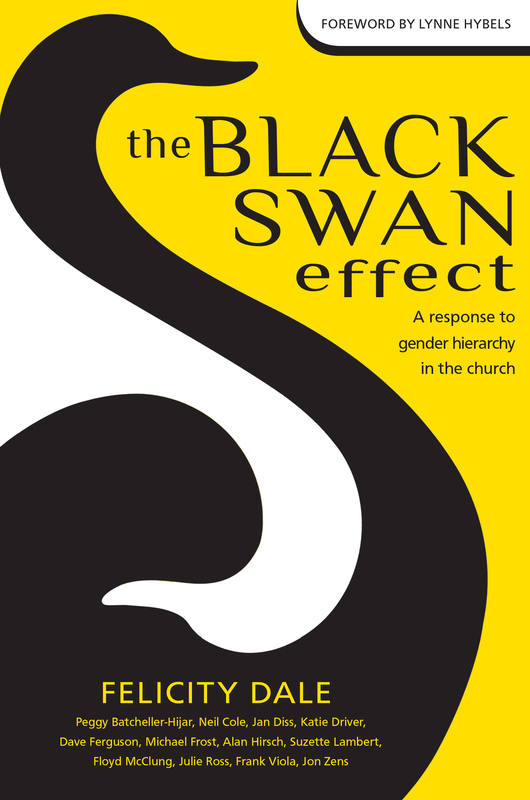 Neil forces us to think outside our conventional boxes by shedding fresh light on Scriptures we thought we knew well. I highly recommend Primal Fire for anyone who longs to see a multiplying and maturing move of God. I stand by that endorsement. This book contains all kinds of original ideas. It’s well worth the read. 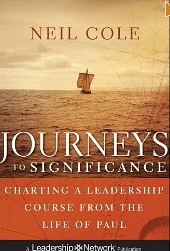 Some months ago I had the privilege of reading the manuscript of Neil Cole's latest book, "Journeys to Significance." I have found myself thinking back to it and applying its principles on numerous occasions since then. For a long time, I have prayed, "Lord, help me to finish life well." Too many Christians start their spiritual journey with enthusiam but in the latter years of their lives lose their passion and their focus on the Kingdom. Neil suggests that finishing well isn't something that happens accidentally, but is a decision we choose to make on a daily basis. This book applies lessons from the journeys and life of the apostle Paul to demonstrate the development of an effective leader. Paul became more and more influential as he moved through different stages of leadership. His effectiveness increased as he learned from experience. Paul changed the world he lived in; his influence continues today. Neil is uniquely qualified to write on this subject both from his own extensive studies on the life of Paul, and as one who has enormous influence that extends far beyond the organic/simple church world. Do you want to make an impact on our world? Do you long to influence this world for the Kingdom of God? I highly recommend this book as one that teaches the principles that will help you to do so. people came to Christ this week? to remember and easy to pass on to others. yet know the Lord. LTGs are a grassroots tool that equip people to become reproductive disciples of Jesus and to grow in their own personal walk with the Lord and .